Credence Genomics Ltd, Sri Lanka’s first and only next generation sequencing facility, launched IVF GScan – pre-implantation genetic screening for in vitro fertilisation (IVF). The cutting-edge screening technology assists in IVF testing, increasing the success of conception. Infertility is a serious medical problem all over the world, usually caused due to various reasons including smoking, late marriages, menstrual irregularities, chronic illnesses, etc. Due to the late onset of pregnancies, the success of IVF has been limited till now as the ability to choose the most successful embryos for inception has not been possible until IVF GScan. IVF GScan increases the success rate of IVF by 20-30% as the most successful embryos are selected. Studies across the world show that next generation sequencing technology used for pre-implantation screening has a near 100% accuracy in identifying the suitability of an embryo for implantation. Obstetricians and gynecologists who integrate IVF GScan in their IVF treatment protocol have established higher rates of success. Credence Genomics conducted an observational study on embryos obtained from local IVF centres in Sri Lanka. Following the integration of IVF GScan in the IVF process, an increase of over 52% in successful pregnancies was noted. Furthermore, an indirect benefit is a reduction in the number of cycles for the patient and the treating physicians. Credence Genomics Lab Manager L.M. 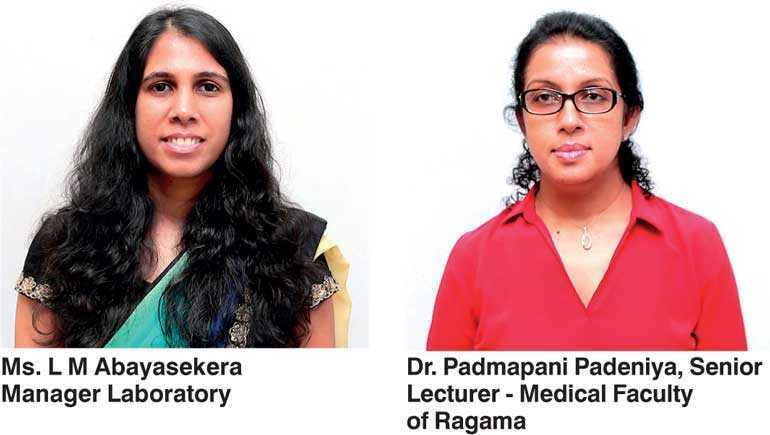 Abayasekera presented the final outcome of IVF using IVF GScan in Sri Lanka at the 51st Annual Scientific Congress of the Sri Lanka College of Obstetricians and Gynecologists held on 11 and 12 August at Sri Lanka Foundation Institute. “Our study data shows a clear increase in the rate of successful IVF implantations by conducting pre-implantation genetic screening using IVF G-scan,” she stated. IVF GScan offered in Sri Lanka is done at an affordable cost and offered by leading IVF Clinics island-wide. Other products in the GScan range also available at all leading fertility clinics include the Non-Invasive GScan, which is a non-invasive screening test to evaluate the status of the baby after the 10th week of pregnancy and has over 99% accuracy. For more information email press@credencegenomics.com.